A lot of small business tech support these days centers around unlimited cloud backup. 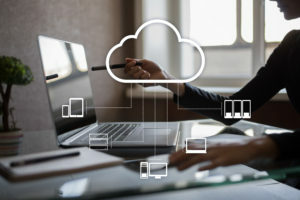 Many of our small business clients are either transitioning to a hybrid cloud scenario (keeping some services on-site and some in the cloud) or moving everything to the cloud. 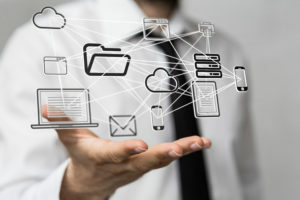 Cloud-based backup and solutions allow small business teams to access and use shared resources, software and information via their computers and mobile devices over a network. When data and software are backed up in the cloud, nothing has to be stored locally. So, your equipment investments are minimal, as are the risks of losing data due to a natural or digital catastrophe in your office. 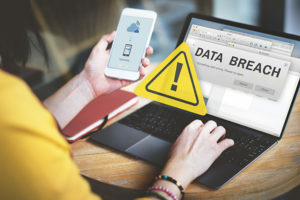 Unlimited cloud backup is a service like your phone and Internet connections. Small business owners need to choose a cloud-based technology service provider just as they do other service providers. Being in small business tech support, we’ve seen providers basing their sales approach on time-sensitive promotional periods, such as offering the first month free or a reduced rate to get you started. Like all promotional offers, the price for unlimited cloud backup increases. The cost also goes up as your small business backs up more data and services in the cloud. Unlimited cloud backup and cloud-based services have become mandatory in today’s business environment. Before choosing a cloud-based technology services provider, know the financial costs and benefits associated with the service. Be as certain as possible that you’ll want to stay with your cloud service provider for a while. No one enjoys switching services, whether it’s an internet, cable or phone service provider. In the case of switching cloud service providers, you might not be without your favorite TV show for a few hours, rather you could be unable to perform critical business functions. There is a period of transition that can impact your productivity. Some small business owners stay with their current cloud service provider rather than take on a transition. The reasoning is that it’s just too difficult, time consuming or expensive to switch. Cloud service providers offer lots of ways to transfer your service to their system, but they don’t make it so easy to leave. When choosing your provider, make sure you don’t get stuck in a bad relationship. Evaluate your options should you decide to terminate your current contract and switch providers in the future. Unlimited cloud backup service providers, like Invision, go the extra mile to really look at your business now and future needs to help you get the most value for your budget. Will your provider slow down business? Your access to the cloud is only as fast as your Internet service. Some small business owners are frustrated when they discover their internet provider’s speed isn’t fast enough to support some cloud-based initiatives. The only solution is to upgrade to faster, more expensive internet service to quickly move data and access solutions. With internet speeds improving across the board, this is becoming less of a problem and will soon cease to be a concern for majority of small business owners. What happens underground affects the cloud. Without cloud access, there’s no data, programs or resources available. Until internet access can be delivered via the cloud, you’re going to be “down” when Johnny Backhoe cuts through the cable or phone lines while digging around. When your business is in the cloud, you’ll be well positioned to optimize communication, support collaboration and increase revenue via productivity. Let our small business tech support specialists help you decide how the cloud suits your business and needs.